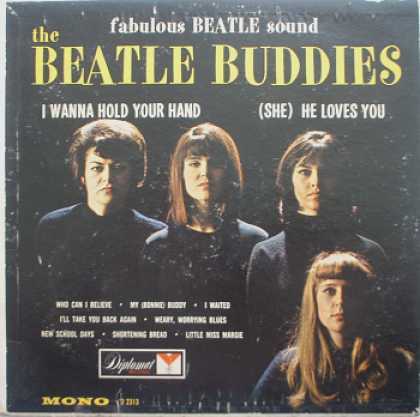 Winning second place in the race to the bottom, is the Beatle Buddies! Four somewhat attractive women, who don’t even bother to take off their clothes, have therefore let this albun stand on the strength of their musical ability alone. A word to their favour, their hairstyles all look pretty timeless. If it weren’t for the rest of the album design, you probably think this album was new. And reportedly, they can in fact sing, but don’t expect anything earth-shattering. And in the race for the bottom, Ignatz Topolino wins by a nose! 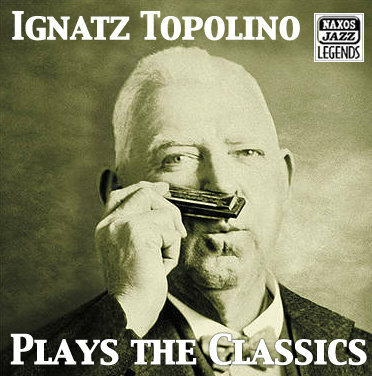 Ignatz Topolino honks out his proboscis-gleaned standards in this album series of jazz legends. He has taken out a million dollar insurance policy in case someone punches him in the muzzle in a dark alley somewhere. Even viral infections causing nosebleeds could lay him up for weeks. So, keeping a clean nose, he honks out his harmonica hits that entice women to throw him flowers in concerts (nosegays, of course), and show him their hooters. E-How.com describes how to play the harmonica with your nose.